Teacher Training DVDs: Four disks with scheduling information, explainations of the lessons, and all the support you need to teach successfully. This does not replace the teacher, but empowers the teacher to learn and teach Latin with confidence. This DVD explains how and when to use all the provided supplies. Complete Student Materials: A textbook, and student binder, complete with dividers, worksheets, texts, flash cards, and color coded paper and pens. This program retails for 299.00 from Schola Publications. How does the Latin Road to English Grammar work? In the Latin Road to English Grammar, grammatical elements are taught right alongside their Latin counterparts. Grammar comes first, and then the program shows you where the Latin words fit in. For example, you will learn that “the word Preposition comes from the latin word Praepositus, which means placed in front” and then you’ll learn that in Latin, many of the prepositions “are used as prefixes joined to root words” at which time you will learn a selection of common Latin prefixes which function as prepositions do. This is a true “two birds, one stone” program, which y’all know I love. Anything that makes my life easier is my friend, so a program that works as double duty is welcome in my home. Come to think of it, I would call this program a triple duty program, because it’s teaching a foreign language, grammar, and vocabulary all at once. Score! 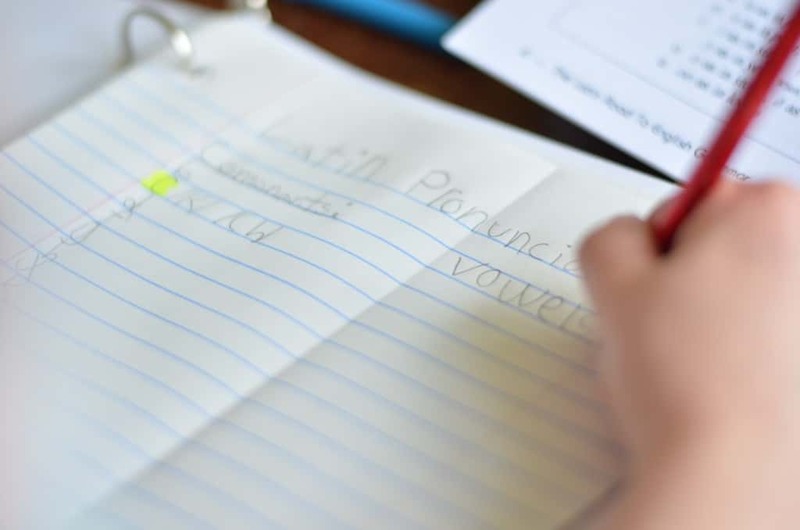 A lesson typically consists of reading the textbook information, taking notes from the text with my student, discussing the text and our notes, reviewing past vocabulary, and listening to our reading selection as we follow along with the text book. Each lesson takes us about 30-45 minutes. This book consists of 16 chapters, spread out over a year, is a high school level review of basic English grammar, teaches 200 Latin words, over 1000 English derivatives, and includes Latin readings of scriptures, history, and songs. When you first receive your materials, you’re going to open it up, and it’s all going to be Latin to you (ha ha ha). Don’t be overwhelmed. What you need to do is flip through all the books, take a deep breath, and pop the first of the 4 disk Teacher Training DVD Set into your player. A weekend teacher training session for me. All that is missing is my sticky notes and my coffee! The teacher support built into this program is really what sets it apart from other grammar programs. I found these DVDs to be invaluable in helping me teach this program. Watching them is a lot like sitting down with Barbara Beers for some one on one help to show you how to use the program. First, she walks you though the chapter quickly to show you how she would break it down into daily lessons. 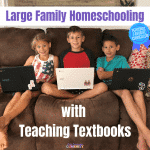 One chapter takes her 10-12 days or so to teach, which to me amounts to about 3 weeks per chapter if I am teaching this program 3-4 days a week. For those of you keeping track, this means the 14 chapters will take me about 32 weeks to get though- one full school year. 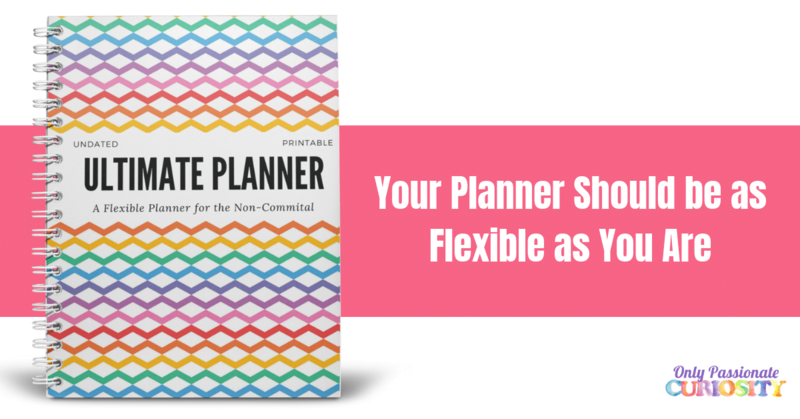 Y’all know I am a bit of a scheduling fanatic, so I love that this is done for me, and I don’t need to worry about breaking down the book into a year myself. Once she shows the schedule, Mrs. Beers goes into how she teaches each lesson, and explains exactly what you are supposed to be doing with the information. 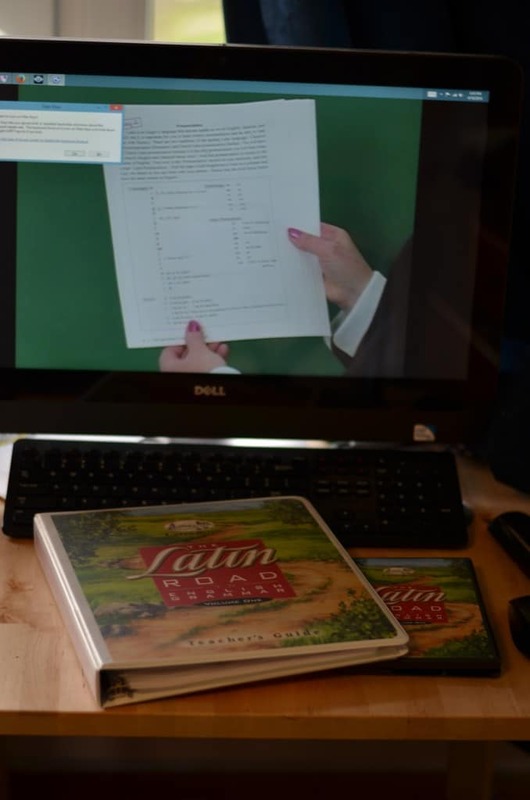 She even shows you what the note pages are supposed to look like, so when you are done watching the DVD, you can sit down with your child and be perfectly confident in your ability to teach the lesson correctly. I make my living from writing. It may not be perfect, but people are reading this, so I can’t be terrible either. Despite my ability to form a sentence, I couldn’t tell you the difference between an accusative and an ablative noun. The good news is, the Teacher Training DVD told me I didn’t have to know it all off the bat (thank goodness), and, I am going to learn this right along side my kids. When you purchase the Big Fat Latin Special, what you are really getting is two complete sets of supplies. Your kit comes with materials for your child, and materials for you. 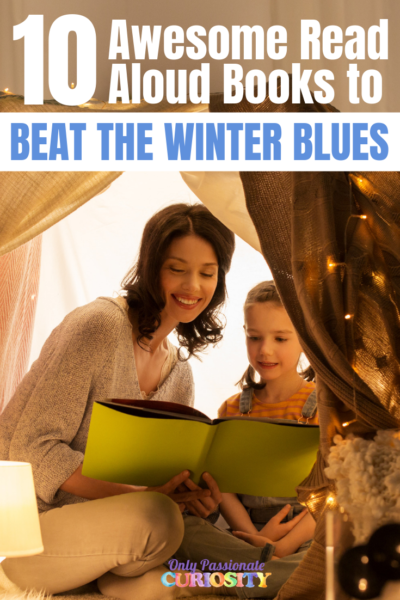 The program recommends you work a couple lessons ahead of your child, reading the lessons, taking notes, and yes, even doing the worksheets and tests yourself. I started out working this way, but what I found worked best for me is working right along side Bug. I watched the teacher training, went through the materials to make sure I understood everything the night before, and then when it’s time for Latin, both of us work at the same time. We read together, we take notes together, and we work through it together. I even have both of us take the test at the same time and grade each other’s work. This program is not for the faint of heart. 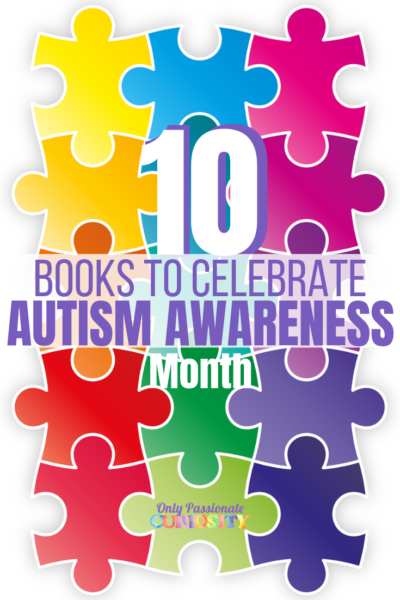 You aren’t going to be able to purchase it, and hand it over to your child, and expect good results. This program needs you, but don’t worry, you aren’t alone, thanks to the teacher support. I think the reason it works so well is because of the high expectations on the parent. Our time spent in The Latin Road is actually the highlight of Bug’s day. I am actually surprised at this because Latin is the subject that really demands the most from him (especially the note taking- Bug is on the young end for this, and his hand isn’t accustomed to needing to take so many neat notes). The reason he loves it is because I am doing it too. It’s time spent with me. We’re learning together, and that’s invaluable. A note on the recommended age: This program says it can be used as young as fourth or fifth grade with a student with some grammar and Latin exposure. Bug has completed a year long basic grammar and Latin program, and while the content is appropriate for him (although advanced enough to serve middle and high school students), what you really need to consider are the writing requirements. Bug struggles with being able to write a page neatly, and has some motor skill issues. 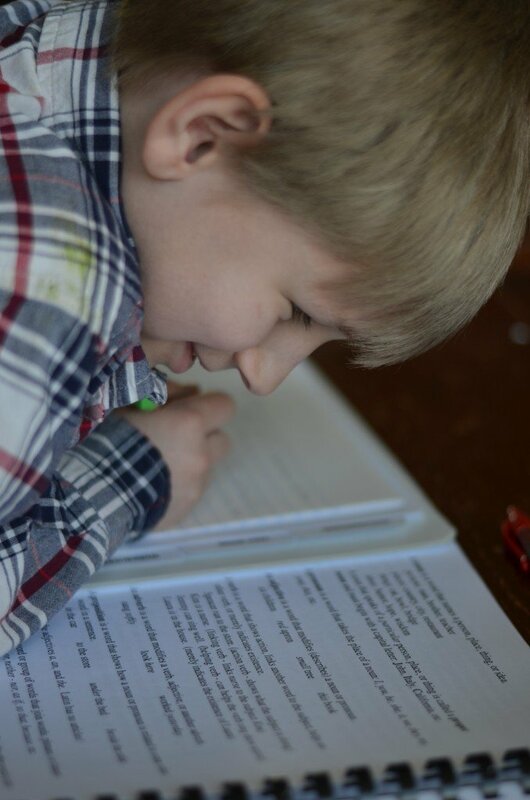 This program is reliant on your child’s ability to take notes, and write down important information. About one page of written text is required for each lesson, often copied from the textbook. This is an advanced text, and I would really recommend starting the Latin Road in middle school (volume one in 6th) or higher when motor skills and note taking abilities are well established. 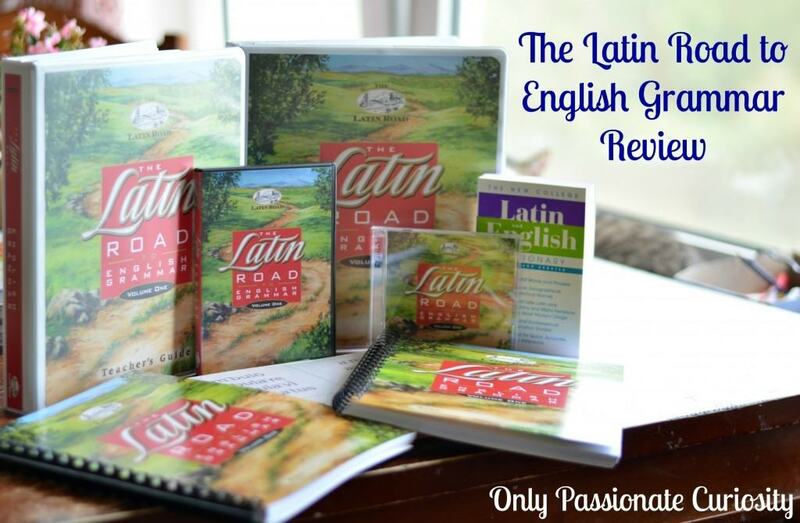 If you want to start with a student with no Latin exposure, and little grammar experience, start with the Bridge to Latin Road instead of Volume One. Even with the experience Bug has, I think I would have rather started with the Bridge program due to the amazing amount of information in Volume One. Either way, it is a wonderful program, but weigh carefully where you want to start with the program so you can be successful! Thank you for the review.. My 6th grader and I are starting this in the Fall. We are almost done with the fourth and final level of the Phonics Road. Your review answered Qs I had that the Schola website did not so thank you!! This program has appealed to me since I first read about it in WTM, but I am just biding my time, waiting for the kids to get older. For note taking, is any instruction given on HOW/WHAT to note? Or do students need to already know outlining and other note-taking skills beforehand? That’s a really good question- it does teach note taking skills. In the parent DVDs it will tell you exactly what the kids should be writing, and where they need to be writing it (in what section of their binder) so it’s very easy to follow along with. This is a good program to teach your kids those skills. Ok, I’m sold, sign me up! We are doing Grammar Island along with diagramming right now. I think this program would work after we finish Grammar Town and Grammar Voyage.